Well, it’s been two months since I started my Avengers drawing. Since early June I have been working on one of the most elaborate, most challenging drawings I have ever done. No easy task, but feel very proud about the completed product. It will be available soon on print for you art fans to enjoy, meanwhile I have posted a video process along with the pics!! How about that? 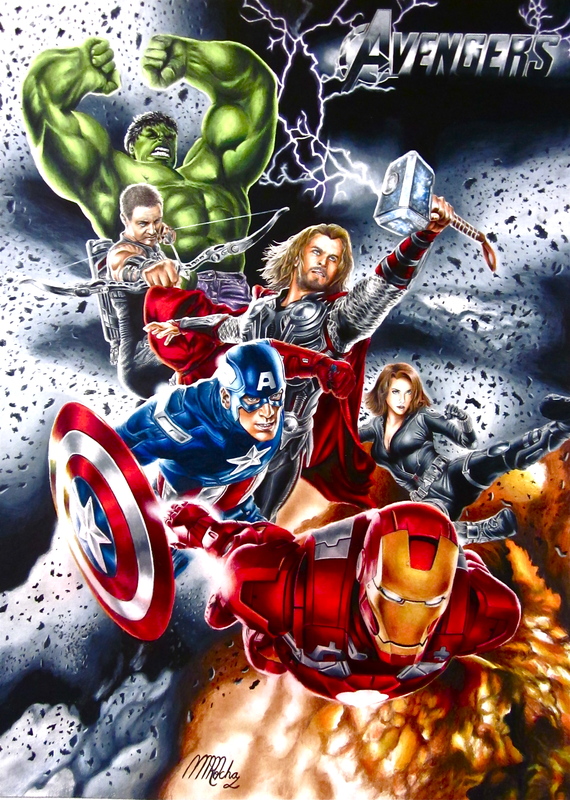 Six of the greatest Superheroes are finally together in film and in art form!! Prints will be available soon!! Enjoy!! Pin us up on Pinterest! Art at its finest. Please check out Martin M. Rocha Art. A blog about drawings that vary from Children to Rock n Roll, from Celebrities to Superheroes. This one has some great treats.